Best known for the 1988 hit “Don’t Worry, Be Happy”, Bobby McFerrin made his first recording at age 32 after spending years developing his musical style. Both of Bobby’s parents were musicians. His father, Robert McFerrin, was an accomplished operatic baritone and the first African American man to sing at the Metropolitan Opera. In addition to the continual presence of classical music in his childhood home, Bobby McFerrin acknowledges the profound influence of his father’s music – especially on his work with choirs. By all accounts Bobby McFerrin is uncompromisingly artistic. Constantly pushing boundaries and rethinking musical styles, his work draws on a variety of unexpected influences. From percussive vocal effects and quick register changes to body percussion, he uses his entire body as an instrument. McFerrin’s performances are rooted in authentic improvisation and spontaneous musical invention – never to be pinned down or clearly defined within one musical box. His concerts are based in audience participation where audience members become active participants in the joyful creation of vocal music. 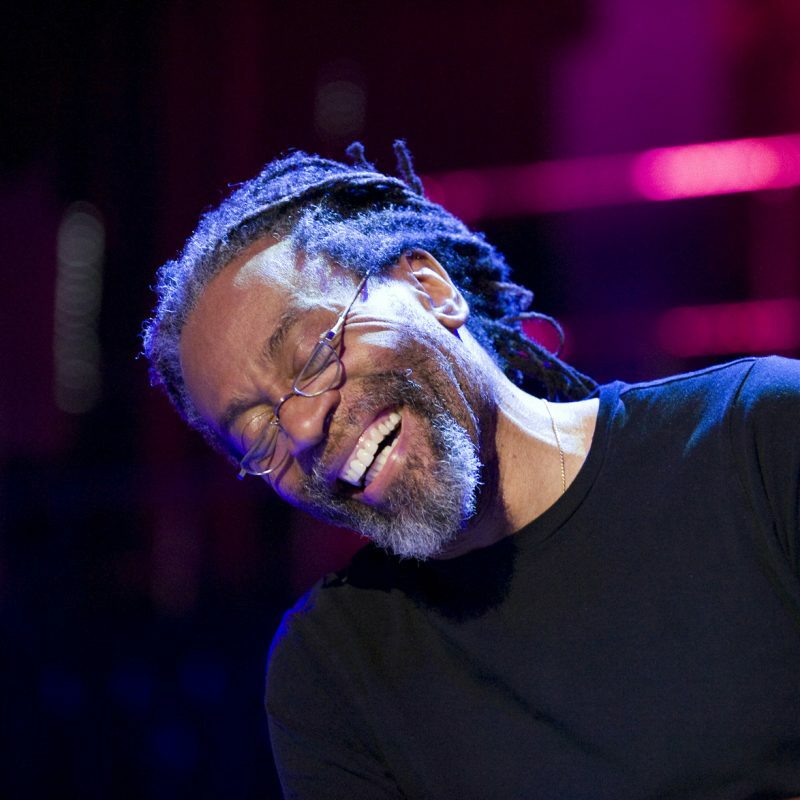 Through his varied career, the numerous artists Bobby McFerrin has performed alongside have included Chick Corea, Wynton Marsalis, Bela Fleck, and Yo-Yo Ma. McFerrin holds an Honorary Doctorate of Music from Berklee College of Music and has been invited to give presentations illustrating music’s universal elements. He was the Creative Chair of Saint Paul Chamber Orchestra from 1994 to 1999 and has conducted top orchestras from all over the world. Bobby also conducted a touring concert production of Porgy and Bess – a work that holds a special significance for him due to his father’s role in the 1959 film adaptation. He has won a total of 10 Grammy Awards. Since founding Voicestra in 1986, Bobby McFerrin has experimented with choirs as a vehicle for spontaneous creation. He now tours with Gimme5, a group featuring Voicestra alumni that has become a new vehicle for McFerrin to explore circlesinging in improvised concerts. 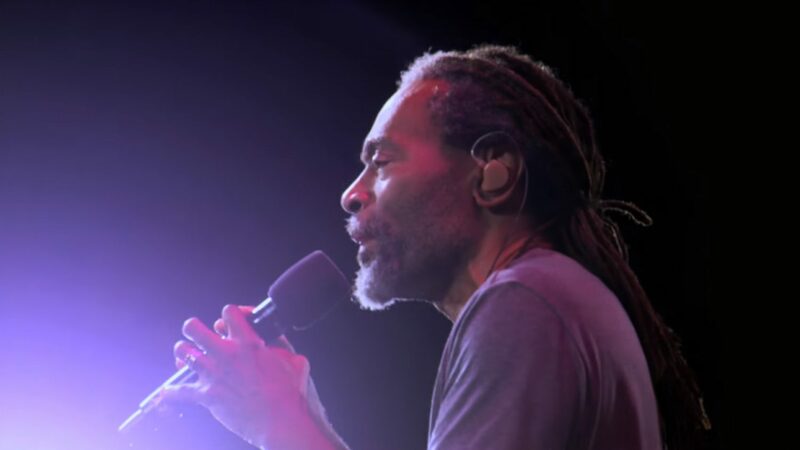 Music continues to run in Bobby McFerrin’s family as his three children pursue their own careers in music. His daughter Madison McFerrin is an up-and-coming vocalist, his eldest son, Taylor McFerrin, is a producer and DJ, and Javon McFerrin jump-started his Broadway career with Hamilton. If I have a mission it’s to make everyone who comes to my concerts leave feeling a heightened sense of freedom to play, sing, and enjoy themselves…Music and play can take people out of their everyday worries and remind them of freedom and joy. 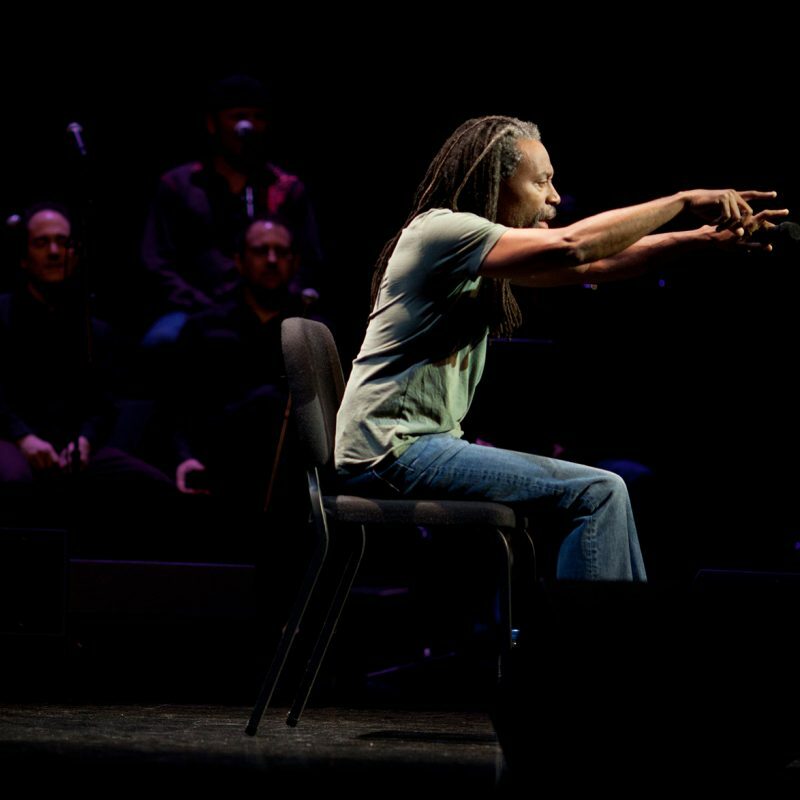 Bobby McFerrin performs for a sold out audience at the Chan Centre on Sunday February 17th, 2019 at 7pm.